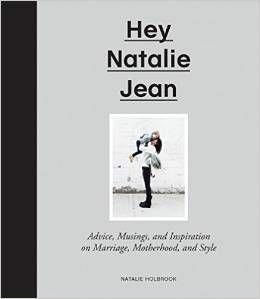 HEY NATALIE JEAN: Noteworthy, Moi? Blogger made my silly little blog its Blog of Note today. In the spirit of being noteworthy I will list six other things of note about me, for your reading pleasure. 1.) I am short. Short as in "can't reach the bowls" short. 2.) My cankles are pretty noteworthy. The Holbs's college roommate even noted on them one time so you know (for once) I'm not exaggerating. 3.) I threw shot put in high school track after getting kicked off the sprints, distance, and jumps teams for being too slow, too pathetic, and too short, respectively. The shot put team, they keep everyone they can get. My PR was 8 feet. 4.) I have no kids, though not for lack of trying. I have decided I am not infertile, I am impatient. 5.) I think Diet Coke tastes best when it's from a fountain and for breakfast. 6.) My goal is to one day have pretty handwriting. You can also check out my Etsy shop, Onesie-Twosie, should you feel so inclined. So, welcome! Feel free to introduce yourself in the comments! Congrats Natalie! You deserve it!!! What a cute blog! Congrats on being the Blog of Note!!! Your blog seems very nice, good job. And I'm sure you have pretty handwriting, everyone does. Hi Nat. You have a nice site here and congrats for being in the Blogger's Blog of Note. I love your outfit especially the jeans, cool. I love fat babies and fat old women and my blog isn't of note. I also enjoy fat rats but you don't appear to resemble one. congrats on being on BoN. Cute blog! Anyway, I discovered we have other stuff in common- we like to blog about random stuff (mine in the form of my favorite actor, but really I just like to blog and have met lots of people this way- plus I have a family blog and a business blog. I guess I'm just a blog addict. and I like saying "blog"), I am also LDS, I have a hubby who grows a beard (although his isn't red and I usually tell him to shave), and I love all that stuff you listed in your "about me" section. That's it... I think we should be friends. Prepare for hundreds of followers! Run! Run for your life! It has started!!!1! It didn't take much for me to know I needed to follow you... the needle on my "Goofy Radar" darted into the red zone almost immediately... hey, that's a good thing! P.S. I was also on the shot put team due to my inability to do anything else. Oh my gosh, l.o.v.e you already and I've only read this one post! I'm so looking forward to following your blog and seeing what else you have in store. By the way, My name's Jamie. I'm a 17 year old from Wisconsin (United States) and I love Italian food and aspire to become a poet/novelists someday. Visit my blog http://reasons2forget.blogspot.com I promise it's worth the trouble of copy/paste the URL into the address bar. LOL. p.s. you're very gorgeous m'dear. Hi! I´m Ana and I started a new blog today. I´m tall and portuguese. I like my job but I´ll be something else in the future, like some kind of hungry writer. I travel a lot but never stay enough time in one place. I wear too much makeup daily and I´ll end up whit some skin disease for sure. I can be nice, and can be mean, I´m a normal human being. BoN has sent me your way and I'll be back to have another look soon. I love your photos. I love libraries too. Am organising a family history day today at our own local library - lots of kids drawing family trees! Hi! Congratulations on a fantastic blog! I am also a short person, living in South Africa. You can visit my blog at http://pixiedusties.blogspot.com. Looking forward to following you! XCongrates for blog of notes. You deserve it. What can i do at my little tech blog on antivirus at http//:tashiwangdi.blogspot.com/ for you? Feel free to visit and leave valuable comments. introducing your self on a blog of not occasion that was smart! Happy day, what a fun blog. I like your writing - but full disclaimer, I also like reading Men's Health in the dentist waiting room. And yes, the Office wedding was a bit of a letdown. All the shots panning between Pam and Jim at the end like "oh geez, look at our CRAZY co-workers!" was a bit much. Anyway, have a great day as the blogger.com superstar-of-the-day. TouchDown!!! Or rather, Congratulations on your Blog of Note! Wow, blog of note. Pretty prestigious I say. Congrats! I grew up in Idaho (the southeastern part) now I live in SD. I must tell you that I thought my husband was giving me a death sentence when he decided to move us here for school. But it is the most wonderful place I have lived thus far! The housing prices are reasonable, the people are wonderful and the landscape is beautiful (albeit slightly flat). Oh, and how short is short? Do you have a measurement you'd like to give? Blogs of Note directed me here. And I am glad it did. Lovely blog. Hello! After even a quick scan over your blog, I very much think it looks like a great read! And I love your ethos 'making our little lives significant', why shouldn't we write about what we see and do! Your dogs look adorable! Blog of Note, congratulations. I was reading your previous post and saw the comment about libraries. I went to one yesterday for first time in a long time to get blog books and the box of pencils on the desk were minis!!!! Beth R+V, you are the first person to have agreed with me on that. We must be soul mates. Hi there -- congrats! I'm glad I've found your blog! I 100% agree with the Diet Coke from the fountain...there's something about the ice in a fountain drink. I think they put some kind of crack in it to get you addicted. That's the theory in my house anyway. Congrats on Blog of Note!! Great blog - congrats on your blog of note-ness! Congrats on blogs of note! I love checking those and finding blogs worthwhile. I may just be your 123 follower. I laughed when I read your description about loving Fat gurgly babies haha. They're so cute. I came across your blog through blogs of note and I am so pleased! I found your blog through blog of note, and am so glad that I did. I really enjoyed your post about Anne of Green Gables. Congratulations on being a blog of note! From what I've seen you have a great blog. :) Thanks for posting!! Congrats. on being in the Bogs of Note. The Blog is AWESOME!! And coming from such "manly man" as myself, that is a true honor! :) I look forward to following your "stuff"! Congratulations on being a BoN! I'm also a Nat, but of the Natalyn variety. I like your blog quite a bit though; I'll be sure to visit again! I'm Rach, born and raised in Portugal. I'm a law student and I truly believe Diet Coke tastes better than regular Coke. I'm glad they added you. That's how I found it, and I'm a sucker for these "me" themed blogs. We're still waiting for Coke-fountains up here in Canada. I am short as well...Oh well, we deal! Cute blog. Hey! What a great blog! You asked so I'm telling a little about myself. My name's Matt and with the help of friends we run a submission based blog called What A Lame Excuse! I hope you enjoy and we look forward to seeing you soon! Keep up the good work! OH, and P.S. great photo work! Glad to be turned on to your blog!! I'm at http://invisibleseductress.blogspot.com if you should decide to come and have Diet Coke and Circus Peanuts with me!! from one short gal to another--hug! First off, love the picture. I was laughing really hard when I saw "Welcome to Moscow" right next to "University of Idaho". Congrats on being noteworthy! So won't you all please give my blog a looksie? Please and thank you. i sooo love your blog. do check out mine seventysevenstrangers.blogspot.com its a productive blog begging youth to think. Please pay our blog a visit. hey you may want to visit my store too! you'll love it! Love the blog! Consider yourself followed! I can't help, as the blogger decided this blog as "Blog of note". Congrat!!! Great work! I want to read more! Life sound fun here. I just dropped by thru Blogs of Note...congrats on making. I myself have always wondered who do I got to sleep with around here to make Blog of Note... so if you have any pointers, shoot them my way. Just wanted to introduce myself and say that I came, I saw, I am now one of your stalkers. LoL Just became new follower. Всем приветы! Блог прекрасный) Very good Blog!